SAN DIEGO–House of Blues will bring New Orleans to life this Mardi Gras. 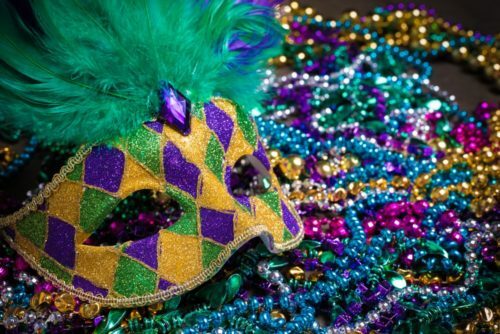 Starting at 7 p.m. on Tuesday, March 5 (Fat Tuesday), during the last day of the Carnival season, House of Blues will unmask the magic with its “Bring On The Beads Mardi Gras Party” taking place inside the Restaurant & Bar and adjoining Voodoo Room. Located at 1055 Fifth Avenue in downtown San Diego, mardi-goers can plan to laissez les bons temps rouler as the House of Blues ignites with live music by Madame Leroux & Krewe, circus and interactive entertainment, featured drink and food menu, and more. The “Bring On The Beads Mardi Gras Party” is open to the public. No cover for entrance. All-ages permitted. Surrounded by touches of contemporary and traditional southern art, House of Blues Restaurant & Bar comes alive with flavorful signature dishes and inspired cuisine. Free live entertainment, craft beer, specialty drinks and inventive food are presented in an inviting space that seamlessly blends indoor and outdoor dining with a lively bar and stage area. A wide mix of entertainment showcases local bands to live karaoke and sounds of upbeat DJ tunes. For more information and dinner reservations, call (619) 299- 2583, or visit www.HouseofBlues.com/SanDiego.